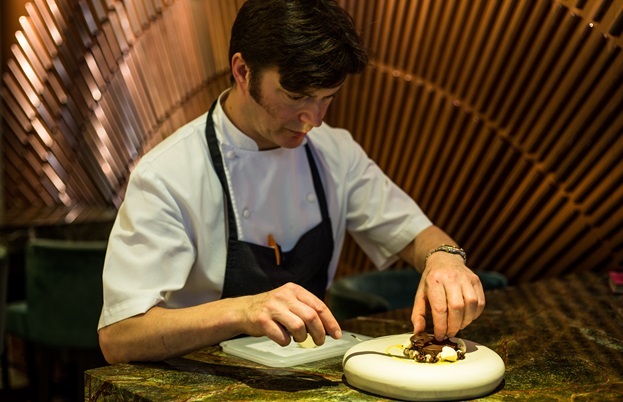 When a restaurant is lacking in the dessert department, expert pastry chefs like Simon Jenkins are parachuted in to improve things across the board. Tom Shingler finds out how he makes that happen. Pastry chefs are a unique breed. They’re the chefs who have chosen to focus their entire careers on one specific course – dessert. 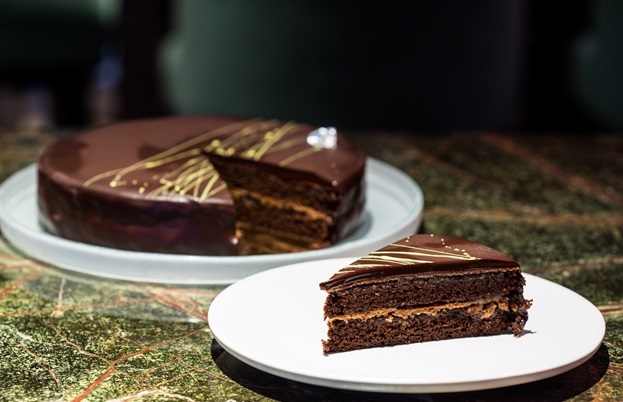 While many ‘normal’ chefs often turn their hand to the sweet side of their menus as well as covering starters and mains, pastry chefs are true experts in their field. 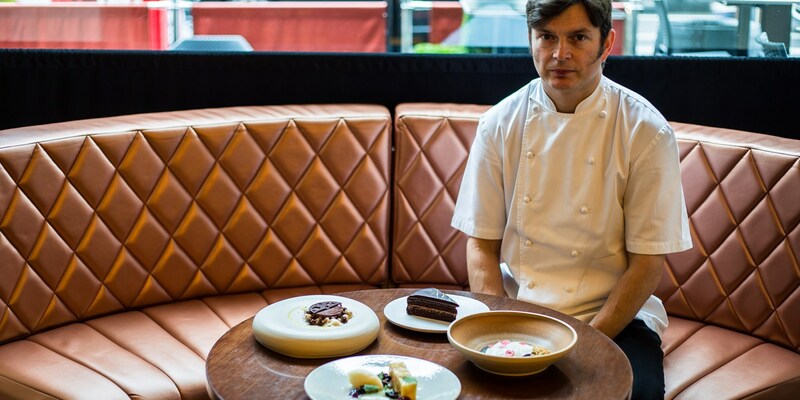 And amongst all the pastry chefs in the UK you’d struggle to find someone more accomplished than Simon Jenkins, which is lucky for restaurant owners – he’s currently working as a consultant, swooping into kitchens and sharing his knowledge with the staff. 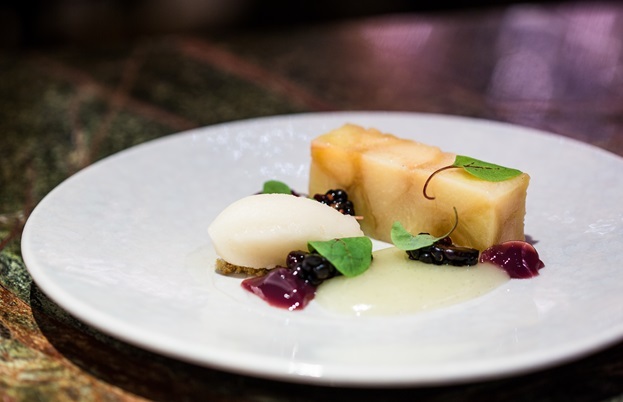 This grounding in some of the best restaurants in the UK meant Simon quickly became an accomplished pastry chef with plenty of Michelin-starred experience under his belt. There’s nowhere better to master the French classics than The Waterside Inn, and Le Manoir is renowned for its focus on training chefs to become the best they can be. But when did the switch from pastry chef to consultant happen – and why? While pastry cheffing and pastry consulting have obvious similarities, the ebb and flow of day-to-day work differs significantly. 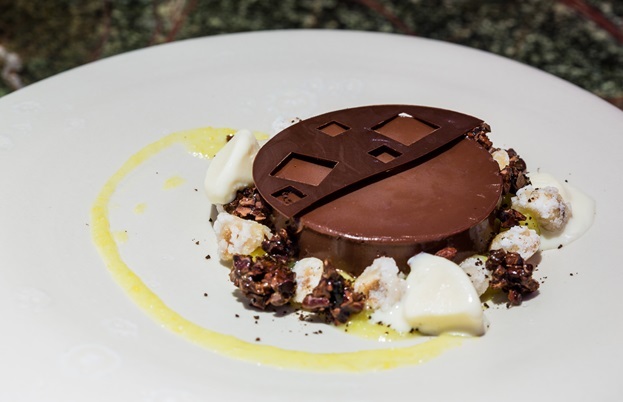 Pastry chefs will create the same desserts over and over again, changing dishes as and when the menu does. Pastry consultants, on the other hand, are given briefs by restaurants looking to improve one or all aspects of their dessert offering. That could mean new recipes, an audit of kitchen equipment or staff training. While Simon always ensures he’s on-hand to give advice after a job is done, it’s a much more varied job, which is good – but it’s not without its downsides. 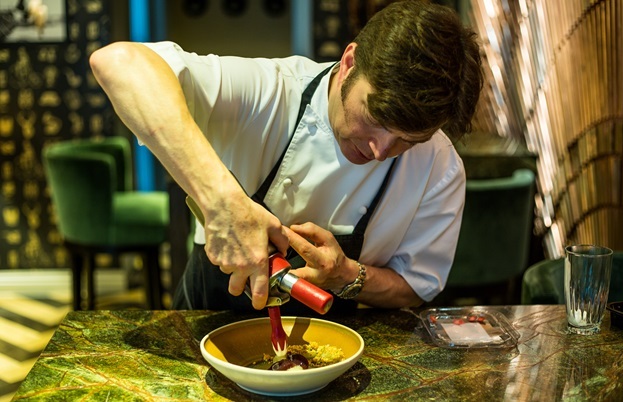 While Simon has his own style and can create incredible works of edible art that are easily Michelin star quality, he has to ensure he provides what the client wants. 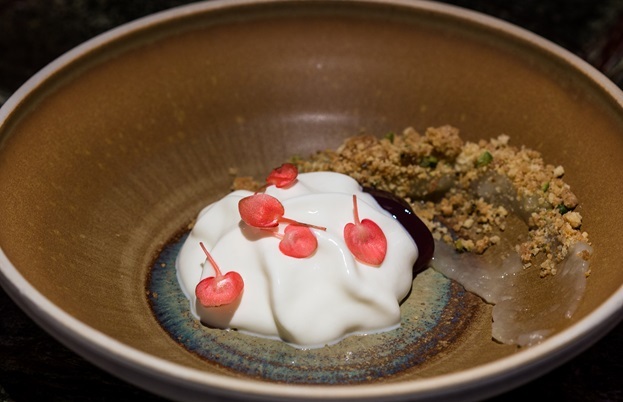 ‘My style isn’t very regimented or classical; I tend to be more natural on the plate so there aren’t dots of gel or sauce all over the place,’ he says. ‘If whoever I’m working with is looking for something similar then that’s great, but if not I have to match their style. It’s a specific skill to be creative according to a brief; you can’t just do whatever you want and expect it to work. 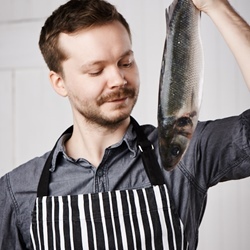 It might not fit in with the restaurant’s style, it might be too expensive to produce, the kitchen may not have the right chefs or equipment to make it – there are lots of factors to consider. However, with Simon it’s clear the pros outweigh the cons. Working with multiple clients at the same time, coming up with recipes at all price points in lots of different styles, training staff and improving kitchens means there’s never a dull moment. While he’s not sure if he’ll remain a consultant for the rest of his career, it’s certainly where he wants to be now. And after just one look (and taste) of the incredible desserts he prepared for our meeting, I don’t think there’s anyone a restaurant owner would rather have improving their pastry section.